Responsibilities include preparing press releases and pitching to the media; designing brochures, newsletters and posters; maintaining marketing production schedule for physicians; assisting with special events; managing the mascot program; tracking media coverage; and compiling call center data for marketing and research reports. Required Minimum Experience: prior internship, volunteer work or job position relating to marketing, PR, journalism, communications, advertising or graphic design. Trilucent Group​, an Atlanta-based PR & communications boutique agency, is seeking a qualified PR and social media intern for the Summer Semester with the opportunity to extend into the fall semester. 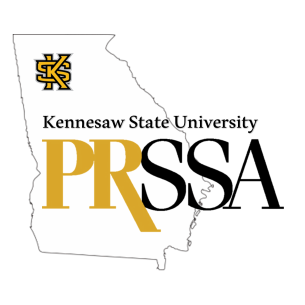 The Public Relations & Social Media internship is a paid opportunity for a junior, senior or graduate student pursuing a career in PR and communications. The PR & Social Media intern responsibilities include, but are not limited to, public relations activities such as writing press releases, pitching, research, updating and maintaining media lists and assembling client clip reports. Social media responsibilities include monitoring client accounts and mentions on various social platforms, including Facebook, Twitter, Instagram, LinkedIn and others; providing and publishing content for the above platforms; helping develop social media strategies, Facebook advertising and managing project reports. 15-20 hours per week. Intern will be responsible for tracking and submitting hours every week. A competitive hourly rate to be discussed during interview process. Intern will need to be able to work out of Trilucent Group’s office located in the West Midtown neighborhood of Atlanta. Please submit cover letter, resume and writing samples to Cama Gebhart at ​cama@trilucentgroup.com​. Serve as part of the broader Corporate Communications & Public Affairs team and support executive communications, corporate social responsibility and internal communications. Assist with the planning and execution of events like the Cox Employee Giving Campaign and leadership engagements. Support employee volunteer initiatives including Team Cox projects and departmental teambuilding activities. Assist with content development and proofing for internal and external channels. Maintain and enhance social media profiles for Cox executives. Provide basic presentation design assistance in PowerPoint. Atlanta Convention & Visitors Bureau (ACVB) is seeking a public relations intern for summer to assist the public relations team in marketing metro Atlanta to domestic and international media. ACVB is the liaison between meeting planners, tour operators and its nearly 850 member organizations. ACVB positions Atlanta as the leading destination for conventions and tourism through sales and marketing programs, supporting Atlanta's $15 billion hospitality industry, 250,000 jobs for metro Atlantans and 51 million visitors each year. What can I learn from this internship? Interns at ACVB are able to dive into legitimate, portfolio-building public relations projects – this isn’t an internship for coffee-fetching and lunch runs. ACVB’s public relations intern is an integral member of the department and is therefore able to gain practical experience. Reporting to the department’s public relations manager, interns will gain a better understanding of the basic day-to-day tasks that make up a public relations position and how the hospitality industry works as a whole. ACVB interns are encouraged to attend industry events and openings to network with hospitality professionals and build relationships. Internship candidates must be a recent graduate or enrolled in undergraduate or graduate level coursework. Internship candidates should hold or be working toward a major in public relations, journalism or mass communications. Candidates must have strong written and verbal communication skills. Candidates must have a proficiency in Microsoft Office suite. We prefer candidates who are self-starters, have strong organizational skills and are enthusiastic about gaining hands-on experience in public relations and hospitality. Here at TRICK 3D, we’re building beautiful virtual worlds. Wanna join? TRICK 3D is a leading 3D animation, immersive content and virtual reality studio headquartered in Atlanta. Our merry band of artists, developers, problem-solvers and dreamers are building beautiful virtual worlds each and every day in-studio. Our penchant for innovation combined with our passion for what we do allows us to break new ground in original content, commercial creative, new tech, AR/VR/MR and much more. We serve up awe-inspiring creative content and solutions for Fortune 100 clients like Delta Air Lines and AT&T as well as entertainment giants like CBS and Turner Broadcasting System. We seek and hire extraordinary individuals with go-getter, problem-solving heads and passion-filled hearts. The Marketing and Public Relations department at TRICK 3D handles all external and internal communications for the studio. The group tackles the development of sales enablement tools, organizing tradeshow and speaking appearances, building relationships with media, writing press releases, engaging on social media and much more. For this internship, the ideal candidate is a self-starter who is a senior and wants to get real-world experience in marketing and public relations. This is a tremendous opportunity for the right go-getter to obtain real-world experience at an exciting and fast-growing production studio in Atlanta. This internship will allow for candidates to obtain course credit for the internship. All equipment necessary to perform the job will be provided to the chosen candidate. Hours are flexible and negotiable according to the candidate’s schedule of coursework. Start date will be in close proximity to the start date of the Spring semester at the candidate’s institution. TRICK 3D is a profitable, founder-owned private content studio headquartered in Atlanta. TRICK 3D offers an exceptionally creative and flexible workplace and competitive compensation. We dig and hire creative, nimble, driven, team-oriented and passionate people and provide them with opportunities to solve, grow and create. We’re located in one of Atlanta’s most creative neighborhoods – West Midtown. Once dotted primarily with factories in the early 20th century, today West Midtown is home to some of Atlanta’s most prized studios, theaters, shops and restaurants. Interested in this position and want to learn more by visiting our studio? Please apply by emailing your cover letter, portfolio and CV or resume to stacy@trick3d.com. TRICK 3D is an equal opportunity employer, and we value diversity at our studio. We don't discriminate on the basis of race, religion, color, national origin, gender, sexual orientation, age, marital status, veteran status, or disability status. • Keep relevant team members and stakeholders up-to-date on industry news, new social media tools and trending topics. • Help manage AirWatch social media properties, including Twitter, LinkedIn, Facebook, Google+ and YouTube. • Assist in monitoring and benchmarking competitor social media activity and trends. • Help compile monthly analytic and insight reports for senior team members and executives. • Write and edit copy for all social media platforms. • Monitor engagement across social networks and provide social customer service as needed. • Assist in writing blog posts and website articles. • Use advanced social media tools like Radian6, Spredfast, Hootsuite and SocialBakers to schedule content, monitor engagement and create detailed reports. • Help develop new content ideas based on holidays, industry trends, new products, etc. • Help create engaging multi-media content to use across social platforms. • Ability to work independently, collaborate with teammates and fully deliver on all commitments to meet deadlines. Spring 2017 program dates are January 23rd through April 21st. Interns are paid at minimum-wage based on location and relocation is not provided. Participation in the internship program is reserved for students who are currently enrolled or within 6 months post-graduation. Most positions are targeted to upperclassmen and graduate students. Note to International Students: All international students will be required to provide documentation of proper visa paperwork prior to your arrival if accepted to the program. Due to the high volume of candidates for Turner's Internship Program, interested students are encouraged to apply for openings as soon as possible, as these positions will be filled on an ongoing basis. Competitive candidates are typically contacted after internships are no longer posted on the website. Future semester Internship postings will become available after the prior semester internships are no longer posted on the website. Candidate will need strong communication skills, both verbal and written. They should also have an understanding of the professional environment they're working in, including attendance, appearance, punctuality, deadlines and strong organizational skills and attention to detail. Strong computer skills including the Microsoft office suite, internet and online research skills are important for success in the position. Turner's internship Program dates are January 23, 2017 - April 21, 2017. Students must have completed their sophomore year in college prior to the start of the internship. In addition, students must be enrolled in school during the time of the internship or NO MORE THAN 6 months post-graduation.